UK telecommunications company Virgin Media has joined forces with Everything Everywhere to let mobile customers use the Orange mobile network's coverage. Virgin's mobile service already uses the T-Mobile network, so hopping onto Orange and T-Mobile's über-service Everything Everywhere is a no-brainer. Graeme Oxby, Virgin Media's executive director of home phone and mobile, said: "Virgin Media customers already enjoy the UK's fastest broadband and the most advanced TV services, now they'll benefit from enhanced mobile coverage too." Virgin customers will be able to access the network from this month, and can opt in by visiting www.virginmedia.com/coverage. 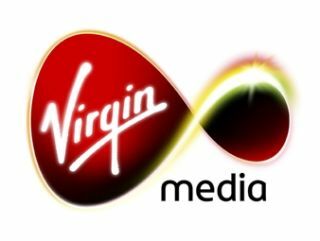 After many rumours, Virgin Media has confirmed that it has entered into a partnership with Spotify earlier this year. An anonymous source has told One Mobile Ring that the service will be accessible by Virgin mobile phone customers without causing any data charges or affecting data allowances. If true, that will mean that Virgin Media mobile customers can stream or download Wham! 's back catalogue and not have to worry about an epic bill at the end of the month. Virgin also plans to bring the service to its TiVo set-top boxes - although there's no word on whether they'll be able to take advantage of the desktop client as well. The agreement follows Orange's deal with Parisian service Deezer to offer free tunes for its customers.